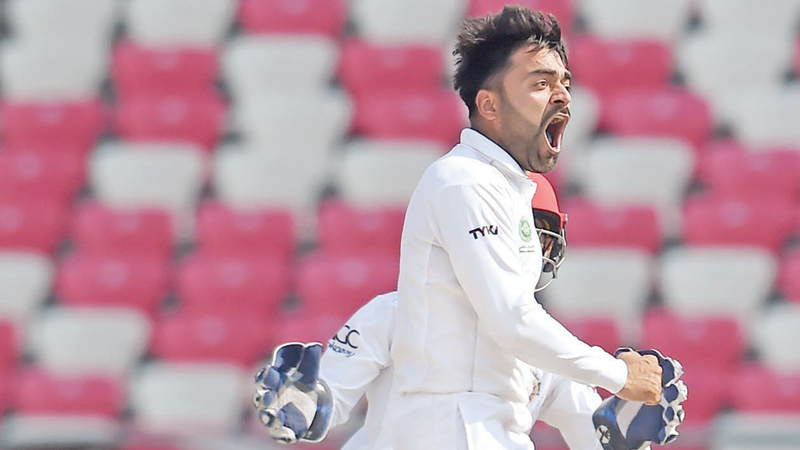 DEHRADUN, Sunday - Spinner Rashid Khan claimed five wickets to put Afghanistan in sight of their maiden Test victory after bowling out Ireland for 288 on day three of the one-off game on Sunday. Ireland took lunch at 124-2 but a batting collapse in the second session saw them slip to 157-6, with Khan and Salamkheil sharing the spoils. 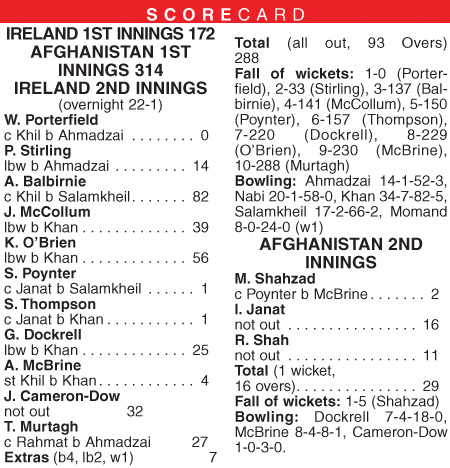 Balbirnie was caught behind off Salamkheil after his 149-ball stay at the wicket, and Khan trapped McCollum lbw in the very next over as Afghanistan regained control.